Ah, what a sweet sigh of relief – the ominous medical school interview is finally over. And though your tensed nerves are starting to subside the day after “the big dialogue”, now the real fear starts to set in: did they like me? Unfortunately, the answer to this question will be varied. Depending on your ability to provide quick-witted answers and dazzle with your impeccable interview attire, an admissions team could secure your spot or leave your acceptance hanging in the dust. But if you’re somewhat on the fence with your performance, or would just like to express some gratitude, recent interviewees should consider sending in a medical school interview thank you letter. Although it probably won’t mean the difference between getting accepted to medical school or not, it can certainly make you look a bit better in the eyes of the dean and admissions team. A brief expression of gratitude or thanks to the interviewers for taking the time to meet with you. Try adding an element of personalization by mentioning a topic you discussed. What you’ve been up to since the sending in your application. List any activities that might pertain. A reinforcement of why you’re interested in the school. What continues to draw you to the institution, and why do you feel you’ll be a successful student – and future doctor – there? If you’re absolutely certain you’ve chosen a particular medical school, express that in your thank you letter. But if there’s a chance you’ll be attending elsewhere, don’t make that promise just yet. A brief closing expression your thanks and your optimism for the future. Although the kind of format you decide to use for a medical school interview thank you letter will depend on the institution’s prestige, formality and various other factors, there are a few general “rules of thumb” to adhere to. 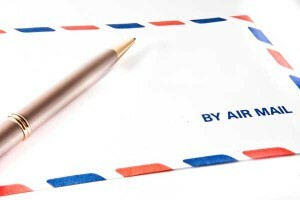 Send your medical school interview thank you letter by mail, rather than email. Always inquire about a school’s thank you letter policy before sending one in. There are a few schools that don’t accept a medical school interview thank you letter.